Lahore, September 12: An unseen of video of former prime minister Nawaz Sharif bidding farewell to his wife Begum Kulsoom Nawaz for the last time has gone viral on social media soon after the death of Pakistan's former first lady in London on Tuesday. 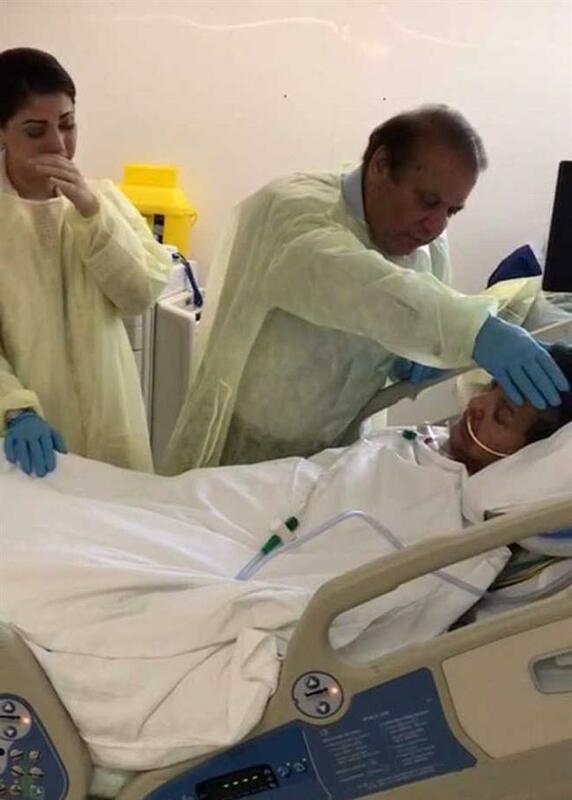 In the video, a visibly emotional Sharif can be seen talking to his unconscious wife in a London hospital before his return to Pakistan on July 12 to serve his 11-year jail term. Sharif can be heard saying in Urdu, "May God give you strength." "Open your eyes, Kulsoom," he is heard pleading to her. Ahead of his departure from London, Sharif had said his wife finally opened her eyes for a few seconds -- something he had revealed a day prior that he wished for. He, however, regretted having to leave her in such state to return to the country.